As we get closer and closer to the inevitable launch of Starlink: Battle For Atlas, the more previews and discussion videos begin to surface. Perhaps the biggest talking point is the Starfox integration in the game and how the whole game can be played as Fox McCloud on Nintendo Switch. Well, with Fox getting all the attention, it is time to turn our attention to the Starfox leader’s arch enemy, Wolf O’ Donnell. During the September Nintendo Direct, there was a Starlink: Battle For Atlas segment. 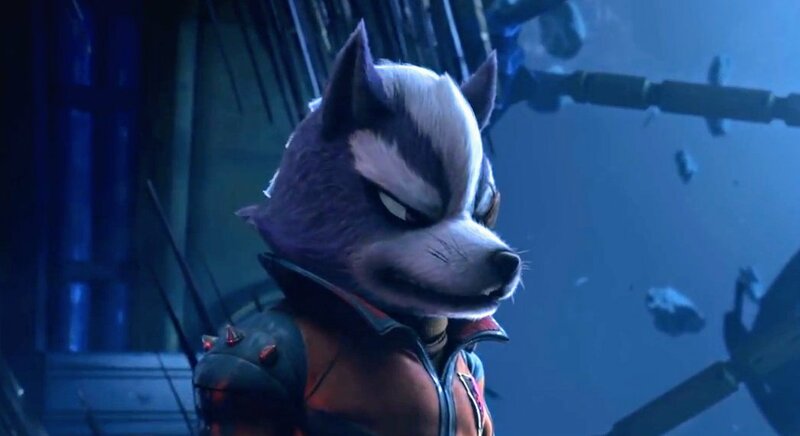 Wolf was teased in the last part of the Segment and we could see what he would look like in the game. An intro trailer for the character has now made it’s way online, courtesy of GameXplain which you can check out below. GameXplain’s Derrick was also invited to play Starlink: Battle For Atlas by Ubisoft. He got to see how some of the toys work, play through a few of the Starfox exclusive missions and experience the “tag-in/tag-out” splitscreen multiplayer. You can hear Derrick’s thoughts about Starlink in the next video.